Concentrated Low Calorie Orange, Peach and Raspberry Soft Drink with Sweeteners. 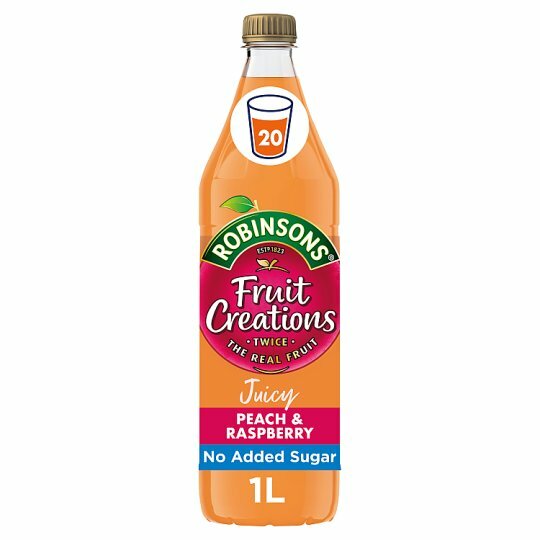 At Robinsons, we use peaches and raspberries which are handpicked and sun-ripened to bring you this perfectly balanced fruit creation, with twice the real fruit in every drop. This delicate pairing has been expertly selected by our flavour enthusiasts. As we have Twice the Fruit** make sure to Shake First to mix it up. Shake well to mix the fruit. It is important to add extra water if given to toddlers.